It was 11.05 am on the 6th of February. I noted the time because of its significance. The VP of Sales had just taken to the stage. With his opening remark my jaw dropped. ‘BANT is no longer enough’ he proclaimed. This was revolutionary not just because the VP’s company is often credited with the very origins of BANT, but because it marked a profound rethink of his team’s long standing sales process. Can BANT Explain All Stalled Deals? The VP went on to express his frustration in the face of internal processes and procedures, the challenge of aligning stakeholders and getting internal approvals. His voice was agitated as he went on to explain that the processes and procedures set out by procurement were changing continually making it almost impossible to know what exactly needed to be done. He concluded by saying ‘I need to know what is happening on the other side of the table so that I can unlock these projects and you (the audience) need to know so that you can unlock your stalled deals too!” He sat down and our workshop on buying process for sellers began. – A good payback will make the buyer jump into action. 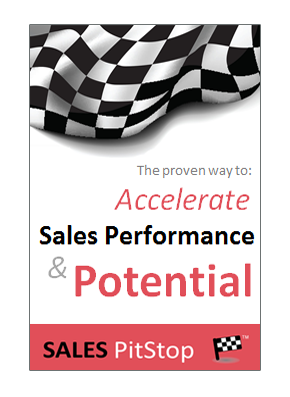 However look at why sales deals stall, or are lost, and you’ll see that these assumptions can be dangerous. In an ideal world the need will be met and the budget will be spent. The manager will have authority and things will happen on time. But today’s controlled procurement environment is far from ideal! The rise of procurement means that a budget and a need do not always result in a purchase decision and certainly not a fast decision. What Deals Can’t BANT Explain? When you ask a sales team to make a list of the reason why deals are lost or stalled you would expect to hear “they don’t need a solution” or ‘there was no budget’. These factors, although vitally important in the sale, typically come as a surprise to sellers. That is because they are not examined in the traditional approach to researching a customer, to pre-qualification, or to needs analysis. BANT as it is traditionally applied takes a narrow perspective of the sale – the perspective of the seller. In an era of slashed budgets and regulated buying that is no longer enough. But if BANT is not enough to close the sale, it can struggles to open it too. Applying BANT too early – that is in a germinating buying process – can deny the seller the opportunity to engage earlier with the buyer. The problem is that when the buyer has all aspects of BANT set, there may be little left for the seller to influence. All too often the seller only meets the BANT ready buyer at the competitive tender stage. How To Make BANT Work? For BANT to be more accurate in predicting what deals will close and when it needs to see the deal in 3D. 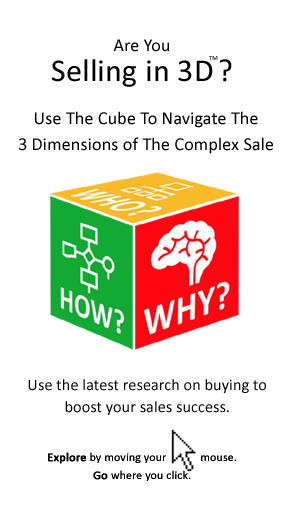 That is from the buyer’s perspective and in particular in the context of the buying process, the buying logic / rationale and the buying team, or the How, Why and Who of the decision. – Only a compelling business case can ensure final budgetary approval. – Procurement is increasingly involved. – Projects and purchases must compete for scarce internal resources – a high return is not enough, it is the most compelling business case that wins. – Regardless of the timing the sellers needs to get involved earlier, if the seller waits until a decision is imminent then he/she has little influence over the decision. The new BANT needs to be seen in 3D. It needs to be seen in a dynamic buying context, with people moving, the emergence of other projects vying for funding, changes in strategy and so on.